B1G1 is a Social Enterprise and a non-profit organisation with a mission to create a world that's full of giving. Unlike conventional giving models, B1G1 helps small and medium sized business achieve more social impact by embedding giving activities in their everyday business operation. Every business transaction (and as a result, your everyday activity) can impact lives, and from as little as just 1 cent. B1G1 is funded by a unique Business Partnership model which sustains the initiative and helps it create even more impact. It allows the Board of B1G1 Giving to select, monitor and work with high-impact, close-to-the-ground projects at no cost to those projects. It also means that 100% of your giving in B1G1 flows to the projects you select. And it means too that B1G1 can develop unique resources to support your business to leverage and deepen the impact of your giving. For every New Patient and New Member joining our Dental Care Plan we give via B1G1 to various projects worldwide. We also give via B1G1 when purchases are made of our adult and child toothbrushes available at reception. For over 30 years we have been providing high quality hospice care, free of charge, to people living in Crawley, Horsham, Mid Sussex and East Surrey. Hospice care is based on the belief that each person is more than their illness, and that each of us has unique physical, emotional, social and spiritual needs. 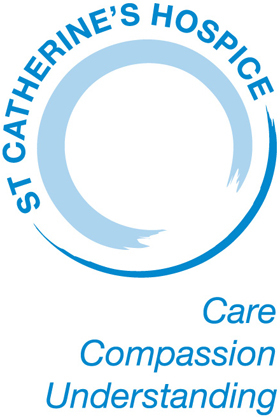 St Catherine's responds to the needs of each individual, helping people achieve the best possible quality of life. This highly personal approach to care takes time, skill and experience from a professional team. We care for people in the hospice, in their homes and in nursing homes. We also provide training, advice and support to other health professionals. We critically rely on voluntary donations and legacies and our care is only made possible thanks to the generosity of supporters and volunteers. Just over £2.5m of our funding is provided by the NHS and we rely heavily on the support of local people, companies and trusts to raise the rest of our running costs. Each year we need to raise £5.5m in voluntary income to ensure we can keep providing our vital services to those who need them. HSDP have raised a fantastic£3,498.82 since choosing the hospice as their charity in 2014, the money was raised through participating in the Dragon Boat Festival 2014 and the Superhero Abseil 2015. Here are some figures that may help show how the money raised from HSDP has a fantastic impact on the hospice and could go towards helping pay for the following. One in four patients are cared for thanks to gifts left to the hospice in supporters wills. A young man sees an old man on the beach, walking slowly and picking up one starfish after another and tossing each one gently into the ocean. “Why are you throwing starfish into the ocean?” he asks. “Because the sun is up and the tide is going out and if I don’t throw them further in they will die.” “But, old man, don’t you realize there are miles and miles of beach and starfish all along it! You can’t possibly save them all. If you do it all day, your efforts won’t make any difference at all.” The old man then bent down to pick up another starfish and threw it into the sea. “It made a difference to that one,” he said with a smile.